Touchscreen Elo ThruTouch 17 "With Controller w VenSYS.pl | VenBOX Sp. z o.o. 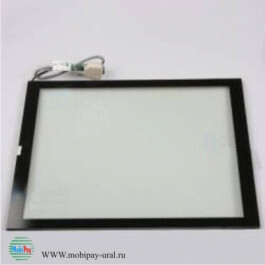 The touch screen ThruTouch, is based on projection-capacitive technology. The main feature and difference of this technology is that the screen is sensitive to touch even through protective glass up to 18 mm thick. Being behind the protective glass, the ThruTouch touchscreen works stably in conditions of precipitation (snow, rain), and is also resistant to dust and dirt. When temperature drops, the condensate formed does not put a stable screen. Installed top glass can be any degree of vandal resistance, including armored. It works from the touch of any non-metallic object. Minor damage to the screen surface does not affect overall performance. Payment terminals, information kiosks, content kiosks, vending machines, ticket terminals located on the street. Information kiosks installed behind the storefront. With the help of such a kiosk, you can get acquainted with the new collection, the schedule of its receipt, make an order for the selection of the necessary models. Moreover, all this can be done on the street, without going into the trading hall, or during non-working hours of the store. And then, in the time period indicated in the order, come to the sales area, say the order number, and after consulting with the store employee, make a decision about the purchase.